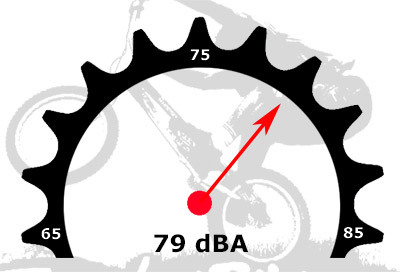 What brake pads are the loudest? With the lathe, anything is possible. Thought of making a tartybikes iPhone app? The website doesnt run very well on mine and takes ages to make a basket up so it would be really helpful! So, who can scream the loudest? Surely when you bought the sound meter you all tired, don't tell me you didn't. New super accurate scales = new weights for pimpy lightweight stuff. Updating the site so products weighing less than 100g will have their weights updated to show to 1dp. Just a quick question, will there be anymore screw on hubbed 24 rear wheels anytime soon there are a couple of echo splined ones but non apart from one that are screw on for freewheels. Ordered spokes and a star nut 3am Tuesday, arrived first post Thursday. Wheel built up perfectly. It's Tarty for the win! Thought of making a tartybikes iPhone app? Yes - however we decided against it for various reasons. We will be doing something for mobile users in the near future though. Echo were out of stock on our last order, your best bet would be a custom build. i cant guarantee this will work but try emptying your cache and browsing history. i used too play a flash game (i think its classed as that) called travians and every time i clicked somewhere it filled up the cache a little more and after about a month of playing the game it wouldnt work and so i had internet explorer on auto delete for my browsing history and never had any trouble since. if not it is most likely your internet playing up.